Short term rentals are the new trend for condominium owners everywhere to make money off of their unit. Owning a condo development is by no means a “walk in the city park”, and there are many acts and code of ethics that you need to be living by. Avid Capital Reserve Planning Inc is here to educate you in everything you need to know about reserve fund studies and being a great building owner. This guide was created to help you understand short-term rentals better, and hopefully answer any questions that may have entered your mind. Why are short-term rentals so popular today? In busy cities, hotels can be very costly for just one night and become almost unaffordable for the entire weekend. During popular concerts, festivals and events, hotels can become booked up, and the budget rooms are usually unavailable. Business travellers and families are looking for a spacious option which they can book last minute and will cost them less. Lots of people want to be close to attractions while being able to enjoy a home away from home. What short-term rental platforms are your tenants using to post their units for the public? How do short-term rentals work precisely? A condominium owner will put beautiful pictures of their unit with a description of what they’re offering on a short-term rental platform. They will mention all amenities included whether that’s a gym, spa, full kitchen or the distance to popular attractions. The price for one night is listed, and the rentee can choose what date(s) they would like the apartment to show availability. The condo owner will also state in the description if the whole apartment is available or if they are offering a private room. They will usually indicate if they will be home or not and if food will be available. Like a hotel, there are check in and check out times along with a rental agreement that outlines any rules such as; if additional guests are allowed and when the buildings quiet hours start. There are a couple of different ways a condo or apartment building tenant may have people pay to stay in their unit. They can rent just one or two rooms instead of their entire apartment and share common spaces with the guests. They may leave the whole apartment to be rented while they are not home and have rules that the rentee must abide by. 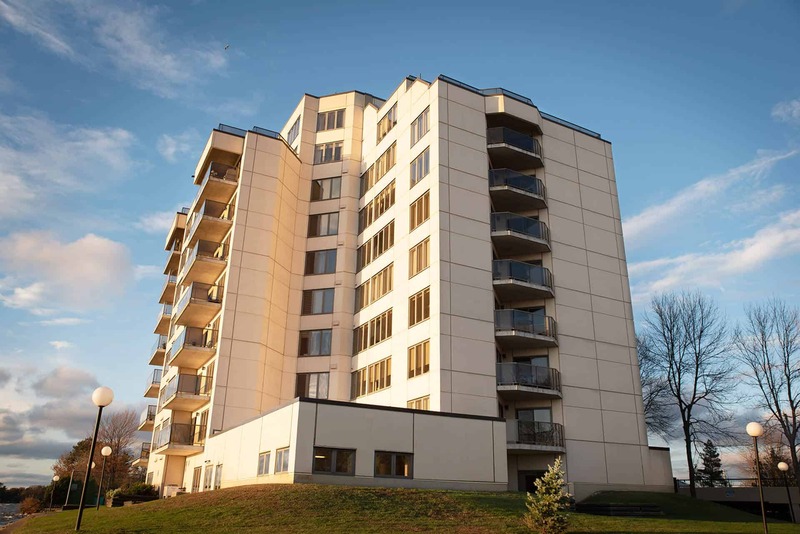 A new by-law was ready to come into effect June 1st, 2018 – the law stated that short-term rentals of a unit will be limited to 180 nights per year and if you are offering these rentals, you must sign up with the city and pay an annual fee. This law has been put on hold until a new meeting takes place. Right now, as long as tenants are not going against their condos declaration, then they may subject their unit to short-term rentals. What does the Home-Sharing Guide for Ontario Municipalities have to say? There are safety concerns for your tenants when you have a large number of short-term renters in your building. They may not respect the communal property such as the hallway, pool, gym, or front entrance. The guests may not be aware of the fire or emergency plan and where the emergency exits are located, which can be extremely dangerous. Check out more information here- The Home-Sharing Guide for Ontario Municipalities. Are you protected from any short-term rental damage? Yes, technically it is up to the tenant to make sure that they cover the cost (or make sure the rentee covers this cost) of any damage done to the unit or common areas of the building. There have been some recent court cases that show Toronto building owners taking their tenants to court over short-term rental damage. The costs associated with this damage need to be assessed and paid for by someone promptly. If the tenant goes against their building rules, bylaws or declaration, they may have to pay a hefty fine or can face eviction. The building owner may have to cover this cost until the tenant pays or is forced to pay by legal measures if they refuse. There are many news stories of building owners not knowing that their tenants are on hosting sites and allowing different people to stay in their unit frequently. You should know what is happening in your building at all times. Have someone watching to see if people are coming in and out of the building at many different times, if you have complaints of guest parking being filled continuously, or if there is a high level of noise complaints. Have your condo board talk about short-term rentals regularly and discuss if they have been noticing any short-term rental signs or damage. Take a look at the popular host sites to see if any of your tenants have their unit up for a rental. 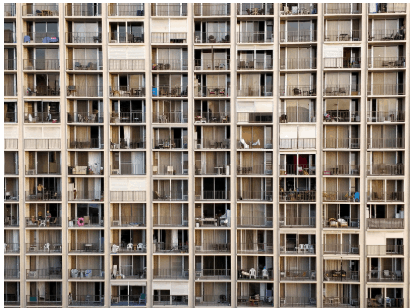 If short-term rentals are a breach of your condominiums declaration, then you must stay informed by watching for the warning signs listed above. Tenants may be sneaking around the system by asking renters not to make it evident that they are staying in the condo and not to talk to anyone living there. Avid Capital Reserve Planning Inc. is the most reliable company to complete the reserve fund studies process for your condominium. Fund study specialists should be aware of new trends that are happening in the condo business. It’s important to a have a reserve fund study specialist for your building who understands condominium trends in today’s world. Thanks for reading our guide and share it with other building owners. Let us help you every step of the way, from Class 1 to Class 3.